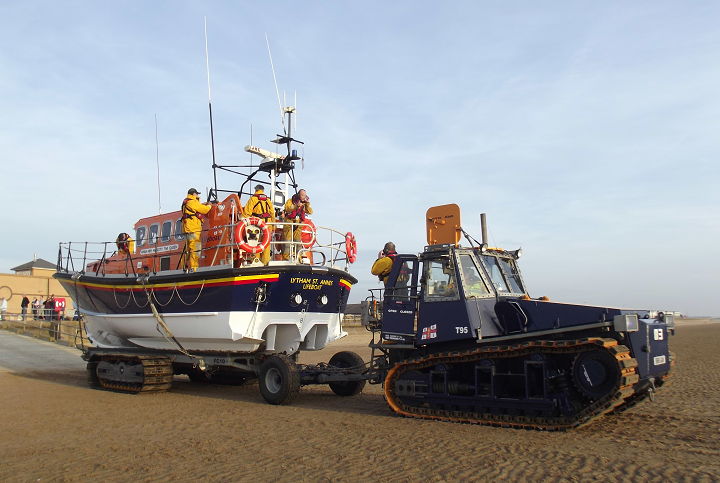 The United Kingdom Coastguard requested the launch of Lytham St Annes Mersey class all-weather lifeboat Her Majesty the Queen and paged the volunteer crew at 3.29pm on Monday (31st October). The owner of a 9.5 metre (31 foot) sailing ketch reported he was in trouble in the Irish Sea, 9 nautical miles west of Southport, when the vessel’s inboard diesel engine broke down. With little or no wind to allow him to sail the vessel and no adequate means to anchor her, it could only drift slowly further out to sea. The weather at the time was calm but the forecast was for the wind to increase to force 5 to 6 later. The owner had already been at sea for four days and was on his way back from Beaumaris to Hesketh Bank. In misty conditions the lifeboat set off to find the yacht at 3.42pm. The visibility in the Irish Sea was variable with patches of thick fog interspersed with areas of light mist. As the lifeboat neared the yacht’s position the casualty set off a flare which glowed dimly through the fog but the two boats were only 20 metres apart before they could actually see each other clearly. After first transferring Station Mechanic Ben McGarry and Deputy 2nd Coxswain Nick Glassbrook on to the yacht to assist the owner, the casualty was then taken in tow a few minutes after 5pm and the slow run back to Lytham started. Arriving off the mouth of the Ribble, the two vessels had to wait for a time off Gut Buoy to allow the tide to make so there would be sufficient water for the ketch to be towed in. 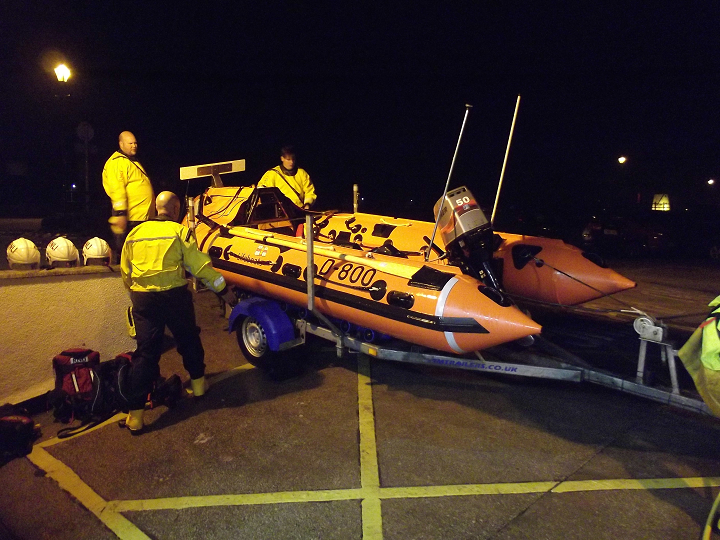 The lifeboat and tow arrived off Seafield Road, Lytham at 9.43pm to meet the Inshore Lifeboat MOAM which had been launched to assist mooring the ketch to a buoy at Church Scar. This was safely achieved and both lifeboats headed for their respective boathouses a short time after 10pm. The Her Majesty the Queen was recovered at high water near St Annes Pier but before going home, the volunteer crew had to clean and refuel the boat. She was finally placed back in her boathouse at 10 minutes after midnight (1st November). Before the Her Majesty the Queen had been re-housed the UK Coastguard paged the Inshore Lifeboat (ILB) crew at 11.38pm. The owner of the ketch that had previously been towed into Lytham had a medical problem and the ILB MOAM was launched for a second time that night to bring the man ashore and hand him over to the Lytham Coastguard mobile unit and a waiting ambulance which quickly took him to Blackpool Victoria Hospital. The volunteer crew, some of who had been on duty since mid afternoon, could finally head home for a meal then bed at 00.50am after over nine busy hours.